A soft reset is a very simple and easiest process to reset Intex Aqua Power. If you use soft resetting method you won’t lost any data from your cell phone.This process doesn’t solve any major problem, but it helps to solve a minor problem. When you failed process 1, and process 2 then you can use process 3 I mean Hard reset using the button. Because this process has some risk. while you hard reset your smartphone you will lose all valuable data like image, video, contact number, document in your phone storage. So, before using hard reset backup all data on your PC or SD card. We are already showing you how to backup android data. Ok, let’s see the hard reset steps. 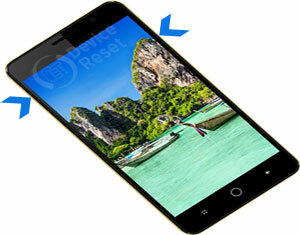 Turn off you new smartphone Intex Aqua Power and remove all SIM card or SD card. Now insert battery and press VOL UP and POWER BUTTON. When you see in mobile screen Intex logo then release only POWER BUTTON. After pressing the button you can see in your mobile screen Two Option, then select recovery mode use VOL UP BUTTON and use VOL DOWN BUTTON to confirm.